There is a lot of love for Virginia Woolf on blogosphere, but she has always been one of those authors who, for whatever reason, really intimidates me. I decided to tackle her via audiobook first and I chose a stream-of-consciousness novel. I am not sure if the audiobook was a good idea. Woolf, I think, is an author who chooses each word very carefully, and reading the book while commuting was perhaps not the best way to appreciate the lovely language being employed. Also, stream of consciousness is alright when it is one character, but when you are following a lot of characters around, it can become quite hard to follow on audio. Alas. These things happen. Heralded as Virginia Woolf's greatest novel, this is a vivid portrait of a single day in a woman's life. When we meet her, Mrs. Clarissa Dalloway is preoccupied with the last-minute details of party preparation while in her mind she is something much more than a perfect society hostess. As she readies her house, she is flooded with remembrances of faraway times. And, met with the realities of the present, Clarissa reexamines the choices that brought her there, hesitantly looking ahead to the unfamiliar work of growing old. This is mostly true as a summary, except that we are not only in Mrs. Dalloway's head, we are also in the heads of other people around her: her husband, Richard Dalloway, who loves his wife completely but cannot tell her so; her former flame, Peter Walsh, who hasn't quite gotten over Clarissa's rejection of him years ago; Septimus Smith, suffering from PTSD and desperate to escape from his doctor. There are so many loosely (and tightly) connected people populating this book. I really love that premise, the idea that one person can have a huge impact on someone else without really knowing. I also really enjoy knowing what is going on inside someone's head in addition to what they say out loud, because the two things so often are not the same. So, really, when I think about this book in theory, I really liked it. I like everything Virginia Woolf was trying to do here. I enjoy leaping from one character's mind to another, from one subject to another, and from present to past. I also really enjoyed Woolf's writing. So much so that I don't think I will do her books as audio any more, but in print, so that I can sit and savor the words she has chosen to describe her story. I did not love this book, though, and I am unsure of why, exactly. Perhaps it was the audiobook. I have found that when you are following along with stream-of-consciousness in a book, it is easy for your mind to lapse into its own stream of consciousness, and then you find that you have missed out somewhere. Also, when you switch from one character's mind to another while with the same narrator, it can be hard to follow and know exactly who is thinking what. That said, I feel like this is the sort of book I WOULD like, if I were in the right mood and had it in print form. For example, it is a cold and rainy day outside today and I feel like getting cozy on my sofa with some red wine and Mrs. Dalloway would be an excellent way to spend the afternoon, if I had not just finished the book in a different format. I don't think this review is very helpful. I apologize for that - I have given you really no information at all about plot and characters and pacing. But there isn't really much plot. It's a lot of thinking by different characters, and I did really enjoy that. I do feel my fear of Woolf was fair, though - this book wasn't exactly intimidating to read, but Woolf is clearly very intelligent and an amazing writer and I think her books deserve and warrant a lot of attention because of all the nuance, so if you plan to read her - be ready! I bet wine would have been the secret sauce! I only listened to Mrs. Dalloway in the car, though, so cannot confirm my suspicion. I think seeing the words on the page did help me understand and follow along better than an audiobook would. However, a marriage of the two might be the most effective way to go. I listened to On the Road, which I would not have made it through otherwise, and it was a similar rambly style. I think your review is extremely well-put. I have a terrible time with stream-of-consciousness -- I've only managed to get through one book by Faulkner (As I Lay Dying), and that took some getting used to. I did like it, however, so I was ready to tackle The Sound and the Fury, which I ended up throwing across the room in frustration (not really, though I did return it to the library in huff after only getting through about 20 pages). I may give Woolf another try sometime. The Waves was recently recommended to me after I reviewed The Children's Book -- I was told The Waves was a much better version of a similar story, so I'm intrigued. Really sympathised with what you say here Karen - describes me exactly too (and had the same experience with Faulkner!). Keep on meaning to try to get into Virginia Woolf (have been told that Orlando is good), but can't quite pluck up the courage to plunge into reading her. I have Orlando on my bookshelf, too! Not sure how long it will stay there, now that I've tried Mrs. Dalloway. I heard many positive things about The Waves, too, Karen. I count you as a mentor when it comes to rereading so may I make that a suggestion? 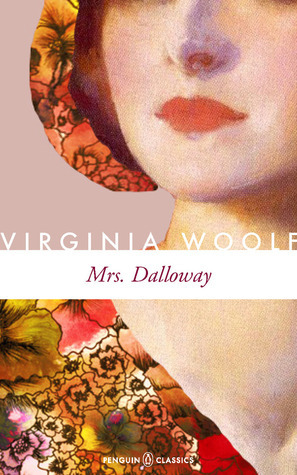 I haven't reread many books and have resisted it as you might remember, but it took me the second time to finally 'get' Mrs. Dalloway and I was swept away. Of course, I had read it the first time as a 'project' to read this, then The Hours and then see the movie The Hours so I had much layering and thinking and immersing. I think you did a fabulous post here explaining and exploring your thoughts. I have given up trying to care about Virginia Woolf. I respect a lot of the things she was about as a writer, but I just cannot get on with her actual writing. It's not even the stream of consciousness thing (although I do dislike stream of consciousness); I don't care for her essays either. It makes me sad. I would truly rather be the kind of reader who likes Virginia Woolf than doesn't. Same. I am just not sure I can be that kind of person, though. I'm going to try Woolf's nonfic, specifically essays on reading. I think that might be my entre. I tried listening (maybe the problem, your post makes me think) to To The Lighthouse and just didn't get very far, and I don't usually drop audiobooks. I just kept losing the thread, and realizing I'd listened to a significant chunk of it without hearing it. YES, exactly. Well, there goes To The Lighthouse as potential audiobook, too, then. No, sometimes it can be REALLY amazing. Like with Ready, Player One. I don't know, I liked this review a lot. Maybe in part because I've been writing a post about losing track of language and this 'I have found that when you are following along with stream-of-consciousness in a book... you find that you have missed out somewhere" really gelled with me, but I liked how you've spoken about it fully in the context you read it in. Woolf is a writer I would love to read, though I'll take your review as a cautionary tale. Haha, no don't avoid Woolf because of me! My experience with her could very much be impacted by the audiobook rather than physical book. But I'm glad I was able to articulate myself better than I thought. "I have found that when you are following along with stream-of-consciousness in a book, it is easy for your mind to lapse into its own stream of consciousness, and then you find that you have missed out somewhere." I good idea to get around this issue when reading stream of consciousness is to think of yourself as another character. In a way I think that that this kind of writing is interactive in that manner - the reader is another aspect of the book. Maybe that would help?